Click on flag for pictures only; click on country name for text and pictures. When we left Christchurch on January 10th, 2010, we were both sad and happy to be saying goodbye to Sumner. Sad, because we had to leave behind friends, and happy because we always like the new and unexplored. We had about ten weeks ahead of us and had a rough idea where we would like to go, but weren't sure at all how much we would like the roaming lifestyle after so many months of being relatively settled. We had spent nine months in Berlin, three months in Paris, and over two months in Sumner. In the end, we liked the nomadic life just fine. Having our Serena van made life very simple. Having a tent and the van as a fallback meant that we never really had to worry about finding a place to stay. And of course we loved the fact that we could choose our own route, stopping and starting when and where we chose. Our travels took us in a big circle around the South Island, with inland excursions to visit Mt Cook, and the high mountain lakes of Wakatipu (Queenstown) and Wanaka. 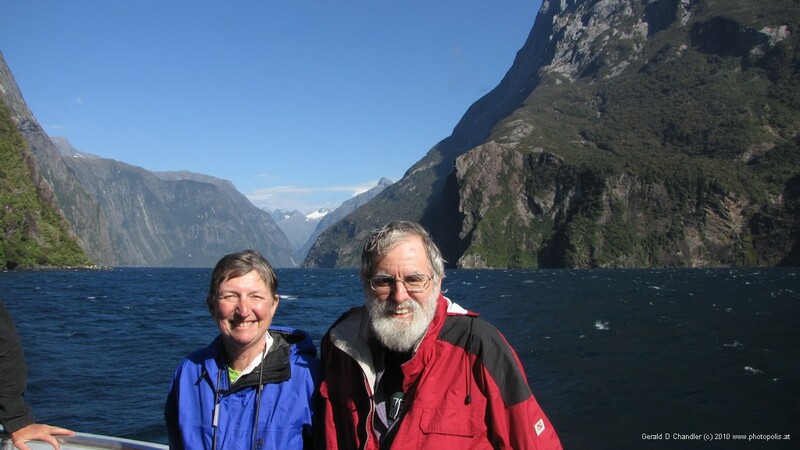 We planned to hit the major cities: Dunedin, Invercargill, Greymouth, and Nelson, as well as major tourist sites like Milford Sound and the Fox and Franz Josef Glaciers. The only big thing that we added after talking to the locals was the Catlins national park on the southern tip of the island for its wildlife, wild beaches, and general unspoiled nature. We were happy to get to meet our landlord before we left. It made handing over the keys and stuff easier and it was interesting to meet yet another foreigner who had decided to live long term in New Zealand. Most people chose it for the same reasons that we liked the country: unspoiled nature, friendly people, relatively mild climate, and lots of opportunites to do outdoorsy things like biking, hiking, windsurfing, kitesurfing, swimming, jogging, and so on, and so on. So join us for a journey around the South Island of New Zealand.